This article will help you in installing top and most popular widgets on your blog. Here are 10 cute widgets for blogger blogs that will beautify your blog. These widgets are necessary if you want to make a professional looking blog. These 10 handpicked widgets are best in its category. After installing these cool blogger gadgets your blog will look like a professional blog and your readers will love to stay at your website. Gadgets like popular post will allow your readers to read your most valuable content and this will increase your page views. If people stay on your site for more duration then it will help your website in better search engine rankings because it will decrease your bounce rate. This is the must have widget for a website. The idea is , your visitors should know who is the owner of this blog so that they can follow you everywhere. If you provide quality articles to your visitors then your audience will eager to know about you and your work. A author profile should consists of your short bio of you and your career. Your bio should consist of your projects + your achievements + social media links. This gadget is necessary if you want others follow or know about you. 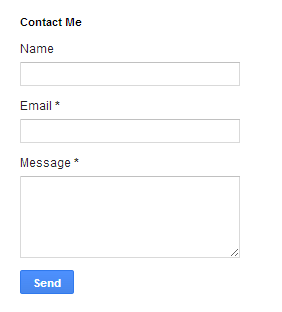 Contact Form is equally important as of profile box. There are large number of people who want to ask queries privately or who want to advertise on your site will contact you through contact form. 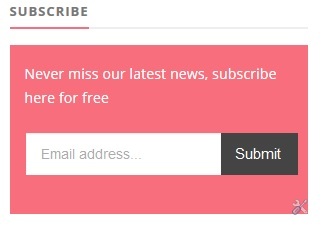 The contact form can give you lot of sponsored work for your blog and at the same time if anybody wants any change in your content can ask you privately. Search box let's your visitors to search any article of your website. This will save visitors time searching needy articles. You should always set a search box in your menu bar. If you have adsense account then you should add custom search by Google. This will show your website's content along with Google ads which will increase your revenue. Google custom search engine allows you to show search results of your choice. Email subscription box is the best widget for every website if you want to run your website for long term. There are many successful website's and bloggers who gets lots of visitors only from email lists. Email lists have ultimate power if you manage to build it large. If you are serious about your business or your blogging career then you should install this widget because Google have many algorithms for penalising websites and if any anytime in future your site search results hurts by Google algorithms then email lists are only one to get direct traffic to your websites. Like email lists growing your social profiles are always found to be beneficial. You can convert your website visitors to your Facebook fans. If you make your Facebook fan page large then you will also see increase in your social traffic. 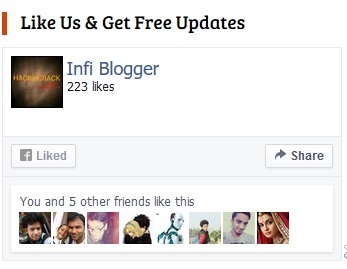 Also note that the more Facebook fans you have the more they will share your articles directly from your fan page. So please install the Facebook like box widget into your blog. Twitter is my favourite social network and currently I have 12k followers. Twitter help me in building my blog bigger. About 5% of my blog traffic comes from twitter and I have seen the visitors from twitter makes 5+ average page views which is very good number for blogs. If you make your twitter profile very large then you can join many sponsored tweets programs from different companies. Show your visitors your best content. The most viewed content will be definitely your best content. The popular posts widgets help your website in increasing more page views and less bounce rate. Also your most popular content will be shown in everypage of your blog it means your top articles will be getting internal links from all of your pages. This will make strong internal linking and will pass link juice to your internal pages. Hence better search results and more organic traffic. Social media sharing button helps your visitors to share your Web pages directly to their social networks. If your visitors share your articles then you will get backlinks from social sites + those links will drive targeted traffic to your site. If you want to increase your website's indirect traffic + popularity of your article then you should install social sharing widgets to your site. 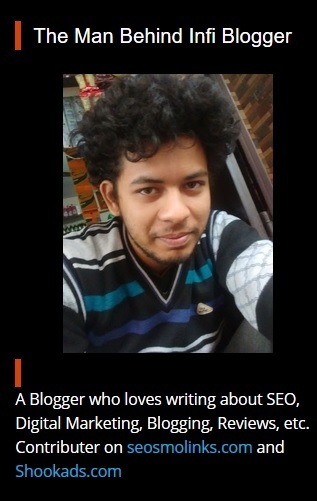 Like Wordpress we can add labels in our blogger blogs. Labels sort your articles according to a specified category. Like seo articles we will have a seo label and all the articles which have seo as label will sort out when you click on a seo named label. You can refer this article to know more about labels and categories in blogger blogs. Related post are helps you in increasing page views per visitors. Related posts have high chance that a user will click because user wants more and more information about a topic. You should add stylish related post widgets on your blog that will seek user attention easily.